Today is just shy on the other side of Christmas. You loved everything about this month. Our elf, Bella, who came to us just after Thanksgiving. She helped us keep in line and work really hard in school and stay on the “nice” list. You loved trying to find her every morning. You loved and were so curious about her “magic”. You built her entire rooms out of building blocks and doll house furniture and wrote her love notes and made her presents. Bella loved being in our home this month. She was taken care of and looked after and respected for her very important job by you lovelies. But most of all Bella loved the changes you made in yourselves. Bella is so much more than just a quirky little magical character that changes her place every morning…she expects model behavior of kindness, love and respect all of the time, not just when she isn’t here or watching you all year round. She loves you unconditionally and wants the very best for you. We also celebrated Hanukkah for eight nights. You beautiful girls have learned the prayers and say them so eloquently. We love to listen to the Maccabeats and talk about how the Jews went back to Jerusalem to reclaim their home. And how lighting eight nights of candles symbolizes how the light they lit was supposed to only last one night, instead it lasted eight. It is a wonderful tradition to learn about every year and you both love it. The best part of this time of year is that there is no shortage of family. We do a lot with our families and truly love to spread good cheer and hang out with all of our extended families. We are now lucky enough to have both sets of grandparents here in town and you love being with them every chance you get. Christmas was a blast. Lilah woke up at 1:15am, just as Santa had left. You were so excited, it took me almost two hours to get you back to bed. You woke up your sister in the process. I love this age. I want it to last forever. The believing, the excitement, the eagerness, the patience, the exhaustion. You finally gave in. You were both up by 7am. I loved hearing your sweet voices in the great room talking about the gifts and the shapes of them and the guessing. A morning we will treasure. I hope that someday you will be able to hold on and teach your traditions in your own families. This month is always so rich in love, being with family, learning and tradition and I hope you are ready to hold onto the true meaning. Giving, loving and kindness always. These images were taken at a Christmas Tree Farm in Belleville, Illinois called Eckert’s on December 2, 2012. Please click through our blog circle of Letters To Our Daughters. Next up, the very talented and lovely Kirsty Larmour | Abu Dhabi Photographer. Please take the time to go through our awesome blog circle of Letters To Our Daughters. One of my friends, Kirsty Larmour is up next. Please visit her lovely images and words for her beautiful daughters. what a beautiful letter to your sweet girls. i love their images at the farm..such lovely soft colors! Sarah C - Oh I just love your family traditions! You are such a wonderful mama Sara!! Your little beauties are so blessed!!! You are making such special memories for them!! They will treasure your letters so much! Your photos are stunning to as always!! 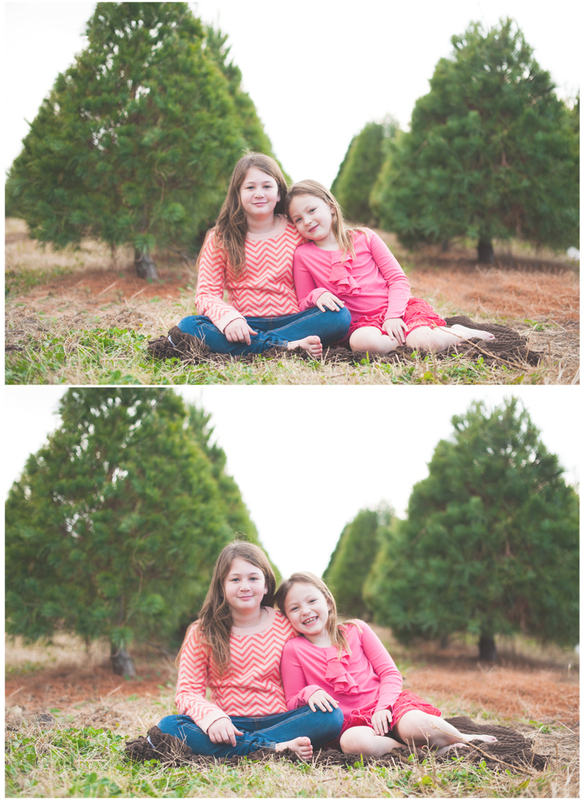 Gretchen - Beautiful words to your girls, Sara and these photographs are beautiful and dreamy. I love all the pastels with those green trees! amy grace - sara, i feel so much at home with your words, with the pictures you share. and i see it in your girls, in their eyes, the way they see you seeing them, the way they are so beautifully different from each other, yet so willing to share the special things they are with their mama. you are someone i would love to have as a real world friend now, and then the child i remember being, would love to visit your house, be a guest. there is a safety, something so sure, so real, so authentic about you, and it is heavy and lovely in each line you write. these images, too, are so soft, inviting, classic, timeless. i love the description of your traditions. we were lucky enough to know both, as kids, and i’m happy your daughters are too, with their big, loving families around them. Tamar - These are just wonderful gifts to your daughters Sara! lovely! julia - These beautiful images are as rich in love as your wonderful words. alpana - Such a vivid and wonderful memory to document. Love the soft tones and such gorgeous girls! 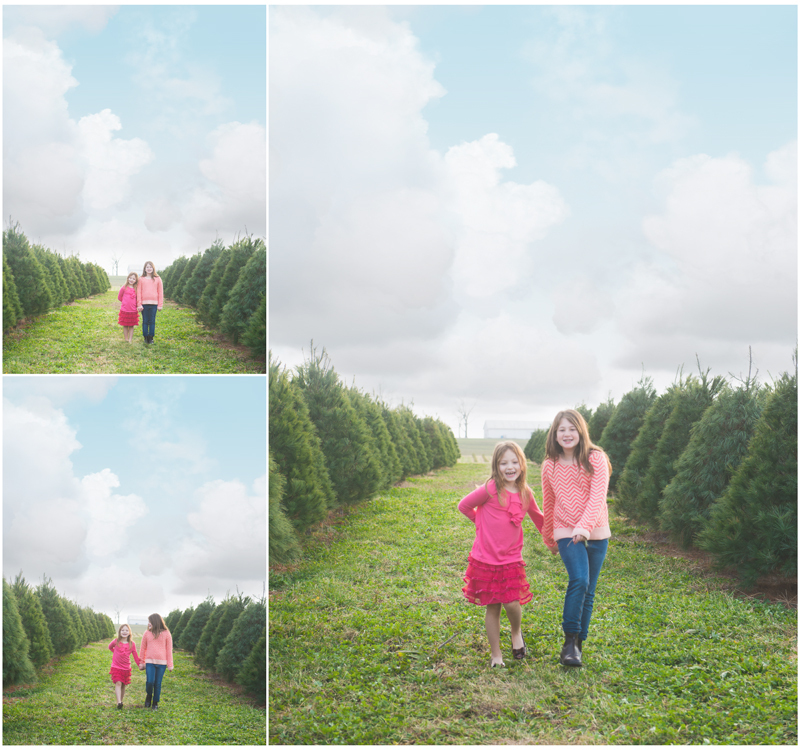 We had grand plans of a great portrait session with you this holiday weekend. But, your little fever had bigger plans. It has been three days and your fever finally broke last night. It has been no less than miserable for you. The first glimpse of your illness was actually Thanksgiving Day. The minute all of our guests walked out the door you started to cry and you were burning up. It has been a long weekend. We have had our share of chicken noodle soup, flat sprite and saltines, huh? I think we have seen every episode of “Charlie and Lola”. And I love hearing those two banter back and forth with their English accents and pen and ink little bodies colored in while snuggling up to my dear, sweet sick one. You were well enough to sit upright for these little gems at our kitchen table. You wanted to draw a house with a rainbow. It was about all you had energy for and you were very methodical and careful about how you held those mini markers. And we even got a spark of your personality in a couple of them. Just enough to let mom know you were going to be okay. I love these little snippets of time where it is just of the two of us. I get to watch you sleep like I did when you were a babe. Your little spirited self is you with a little less spark. I promise next time we will get a prettier, healthier version of you with some wonderful portraits to follow. For today, we will go with your snarly hair, weak smile from an entire weekend of fevers, sleeping, reading, numerous tic-tac-toe games and movie watching. Please direct your attention to the fabulous Jess Sandager of Olive Avenue Photography | Minneapolis, Minnesota to read her Letters To Her Daughter. Debbie Wibowo - Sara, I hope she is feeling a lot better by now. It truly breaks a mom’s heart seeing their kids getting sick. I can tell how sweet she is, because she even willing to give you a silly face even when she wasn’t feeling good. I love everyday pics like this. They are honest and real. Thank you for sharing your day. Sarah C - Even not feeling well she is just such a beautiful sweet child. I am SO sorry she hasn’t been feeling well. it is SO hard when your little ones aren’t well. I LOVE that you just make the most of it though and take what can be so difficult into a special time. These are just as gorgeous as any holiday photos!! Such a talented and special mama you are Sara! Val Spring - Oh my friend, your Lilah is so beautiful and so are your words. I was reading your letter and I understand exactly the feeling of watching her not feeling like her spirited self and needing to get at least a little cue from her to know that she will be ok. And the whole part about watching her sleep and enjoying spending time alone and playing games. I still remember the sweet parts of being sick as a kid and having that extra special time with my Mom. I treasure those memories! I hope she’s feeling better and that she knows how lucky she is to have you as her Mom. You are a good one!!! Hugs! My dear sweet first-born. You are such a beautiful, sweet and gentle soul. I love this day of images. They show all the real sides of you and your personality. You are sweet and demure and captivating on the inside and born with such an immediate conviction, strength and wisdom. I love what kind of a person you are turning into, Maya. Your teachers and coaches compliment you on how much they love and appreciate you in their classes or on their teams. That is one of the highest compliments. We are so very proud to be your parents. I believe that every day with you has been such a blessed gift. And when we brought you home on that day in August, I swear (as every parent does) the Red Sea parted. All life’s miracles, hopes and dreams came home with us wrapped up in your dad’s eyes and your moms freckles. I love that we as parents get these days and nights understanding you, loving on you and sharing with you. We have been deep into reading the Wimpy Kid series and you love everything Greg and Rowley are learning about life. But more importantly, he is funny and pulls some serious shenanigans all that create that fantastic full belly giggle of yours. We can’t wait to bring them out each night. You and I get to relish in the days of Greg and Rowley. I love that we can discuss how funny these boys are and on the flip side, the wimpy kid series really segues nicely into talking to you about bullying and how important it is not to bully and to have the strength to walk away from someone who is not acting nicely towards you. And to tell someone about it. All of these beautiful messages wrapped up in a series of books you love to read. The best! I think the things I love most about you is the prosaic, everyday things that make up the sum of the whole. Whether it is cooking or watching Giada flip up something cool, grocery shopping perusing the internet on how to make the coolest animal out of your origami paper, talking about replacing your itouch with the latest one, learning about what you did at school that day or building a whole village of zinkies, squinkies, zoobles and whatnots. You have such an amazing and vivid imagination and you put all of it into your art and pottery. You were so excited about your pottery class and you are sad it has come to an end. I know you wanted to do more with the wheel. We will have to find another class soon. It has been a total blast redecorating your new room from the colors to the accessories. It will be finished, soon. I promise. Your new cover and pillow cases are set to arrive early next week I love that we get this time to do things together and that I get to teach you all of the things life has to offer. It is one big open wide breath of fresh air. Breathe it all in sweet girl and spread your wings! Please direct your attention to the ever soulful, Julia Stotlar | Chicago Area Photographer with her letter. amy grace - sara, whenever i see your images, and now as i get to read about something so deeply rooted in your heart…i am struck by how much you simply “get it”. you are a classic, with the purity of your style, the timelessness and clarity of the voice you just sing with, the goodness that shines through, and glows in your work. i can hear and feel how close you two are. you really illustrate the beautiful truth that love is in the details. all of these things are important. all the little things are the big things when you love someone. and this set of pictures…one of my favorites from you. ever. love to you friend, and to that awesome girl too. Megan C. - Love Love Love. The images (ah.mazing), the letter, you, your sweet girl (so lucky to watch her grow up!). Love it all. Love it all more. jaime lackey - wow. such beautiful images with beautiful words!